Diversification into tourism, recreational activities and education proved to be a success for this dairy farm located in an area rich of meadows and fields. The activities on the farm allow local people as well as tourists to enjoy the countryside. 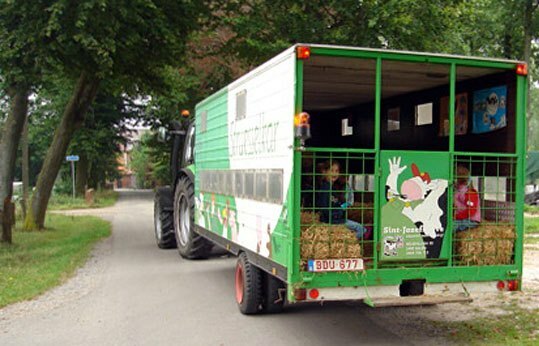 The Sint-Jozef dairy farm is next to Antwerpen, where in the past it has invested extensively to diversify its activities to target tourists and promote educational activities. 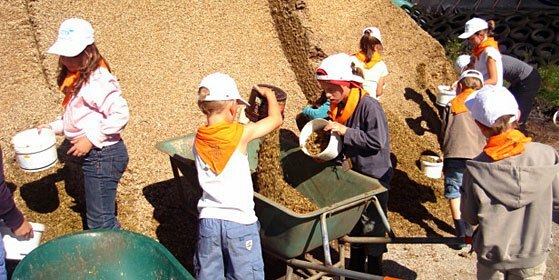 The farm hosts groups of young students, which can learn more about agriculture during summer camps whilst offering accommodation facilities. Through the implementation of this new project, the beneficiary wants to design some original “meadows games” to be played by guests in events and parties organised on the farm. The main objectives of the project are to: promote the diversification of farm activities; promote active rural tourism, the agricultural sector and build on the attractiveness of the countryside to create new farm income opportunities. The main activities envisaged to implement the project are: the development of different games and the production of the necessary supporting material, building of a lodge and the development of alternative indoor games. The project resulted in an effective development for the farm, as it allowed some of the activities implemented to be sustained on a commercial basis. The fruitful cooperation between the farmer, the Tourist Board and the Innovation Support Agency ensured a proper promotion and marketing of the project. The realisation of this project combined with the effective promotional initiative allowed the farm to broader its audience and sustain its operations. The involvement of different actors, such as product developers, catering companies, tourism services, marketing agency etc., allowed to create a positive and proactive work atmosphere enhancing both cooperation between different sectors and developing new economic perspectives.